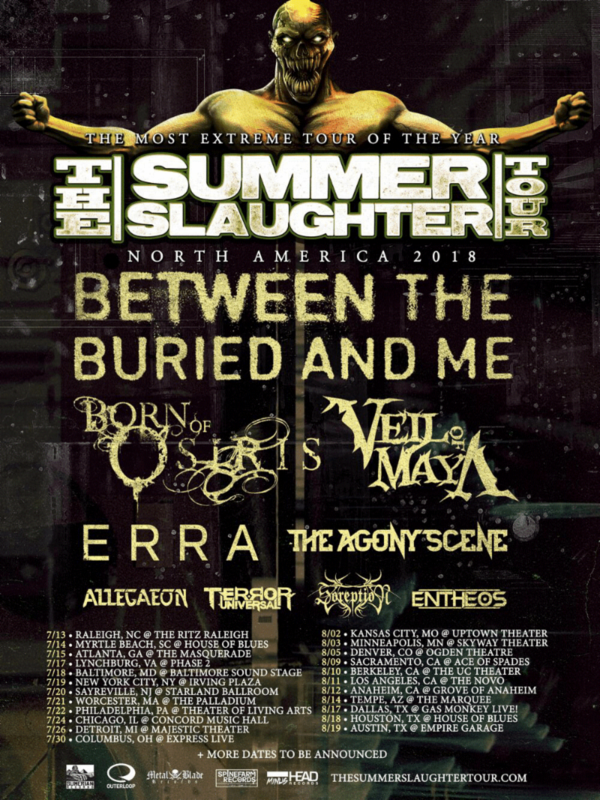 The Summer Slaughter Tour returns this summer with it's 2018 edition! The line-up is as follows consisting of Terror Universal, Between The Buried And Me, as well as additional support from Born Of Osiris, Veil Of Maya, Erra, The Agony Scene, Allegeaon, Entheos, Soreption and the Headbang For The Highway contest winner (TBA). 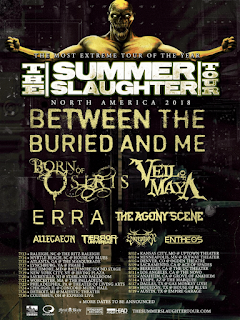 The Summer Slaughter Tour will begin on Friday, July 13 in Raleigh, NC and will hit several major North American cities, coming to an end in Austin, TX on Sunday, August 19. More dates are scheduled to be announced. Visit www.thesummerslaughtertour.com for ticketing details and more information. Check out the dates listed below!